Before the Fyre Festival flamed out, it was a roaring disaster. Thanks to a new Netflix documentary, everyone will get to see how it burnt out. Here's the trailer for the soon-to-be-released documentary! Every time we think the Fyre Festival has burnt out it comes roaring back. 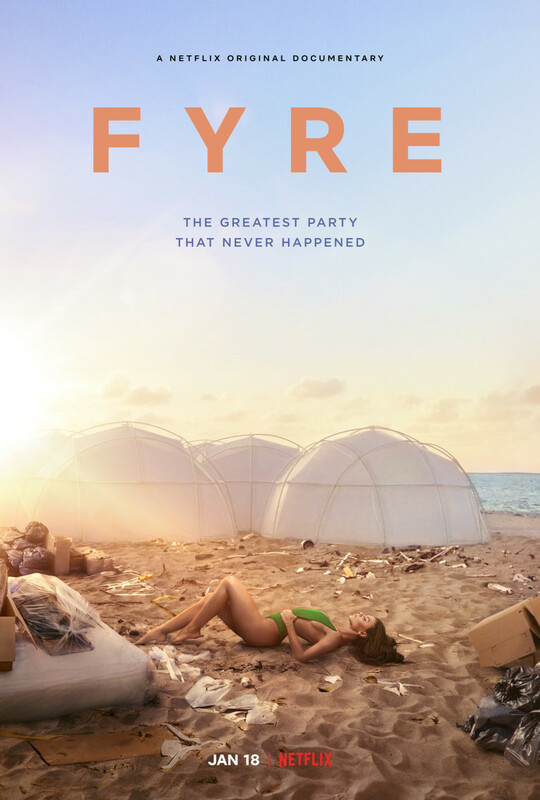 This time it’s due to Netflix finally dropping the trailer for the new documentary on the disastrous Fyre Festival. As a quick refresher, the Fyre Festival was marketed by dozens of famous models as a luxury music festival and “the biggest event in a decade”. Tickets were sold for thousands of dollars, and the event sold out quickly. The day of the event guests arrived to find that the event was far from luxurious. They were greeted with FEMA disaster relief tents, soaking wet mattresses, and cheese on bread. People were left wondering if this was just poor planning or a scam from the start. Either way, the festival was disastrous and left Exuma in chaos. The event was organized by rapper Ja Rule and entrepreneur Billy McFarland. The documentary titled FYRE: The Greatest Party That Never Happened is an in-depth look at the rise and fall of the would-be festival. The film was co-produced by VICE Studios and will be released on Netflix January 18th. The documentary will feature interviews from those that worked to plan it, vendors, and attendees. It will also feature never before seen footage from the event. While many people found humor in hundreds of rich-kids stranded in the Bahamas, the failed festival was detrimental to many locals. Local vendors that provided food, security, or other services have still not been paid and likely never will be. The Bahamian government has also still not received payment for import taxes from the event. It remains to be seen if the documentary covers the aftermath, namely the arrest of co-founder Billy McFarland. McFarland was sentenced to six years in prison for multiple counts of fraud related to Fyre Festival. He was also ordered to pay $26 million back to investors. There are still a number of civil suits pending from attendees over Fyre Festival as well. As Exuma Online was one of the few places that called this scam event from the start, we’re eager to see what new information can be gleaned from the documentary. Until then, here is the trailer! I’ve owned a house on the island of Exuma for over 20 years so feel somewhat qualified to comment on this. When I first heard of Fyre Festival it was billed as being on a private island. I quickly found out that it was to be on Exuma, which happens to have about 2500 residents. Hardly private. Then I found out that it was on one of my favorite beaches and cringed. When folks started arriving they quickly found that nothing was ready and wasn’t going to be ready. No food, a wet mattress to sleep on, pissed off locals who had been hired but not paid and not near enough planes to leave on. Oh, and did I mention that this was during the Out Island Regatta? Only the biggest (and legitimate) annual event on Exuma. So there were already several thousand extra people on the island. Disaster was not left to chance. Have the laborers (who constructed the stage and other structures–not the restaurant owner) gotten their backpay through any means? Thanks!